Harlem - New York City based hip-hop MC and a member of the D.I.T.C. crew. He was shot and killed in Harlem on the night of February 15, 1999, just blocks away from his home. He was only 24 years old at the time of his death. Today marks the 6-year anniversary of the death of one of the most talented MCs to every have his vocal chords processed through a microphone: Lamont Coleman aka Big L. Although the majority of his fans knew him after his death, Big L always had the talent that should have made him a certified legend, along with the ranks of living legends such as Jay-Z and Nas. 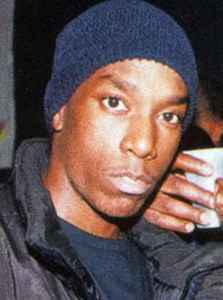 Big L had a unique voice and razor sharp metaphores that would verbally kill, whether on tracks, battles, or freestyles. It is believed that he was killed because of another crew who had beef with his brother Big Lee, who at the time was incarcerated, so Big L was killed in retaliation. Some time later after his release, Big Lee would eventually be killed on the same street as his brother on 139th & Lenox. Anyone who has not heard Big L should buy his album 'Lifestylez Ov Da Poor & Dangerous.' Let's not mourn the death of Big L, but celebrate the life he lived, the lyrics he's blessed us with, and the inspiration he has given to many future MC's. 'What's this motherfuckin rap game without L?